Any issues affecting your teeth and consequently your smile and dental function can now be rectified through different types of restorations. Dental crowns are the most versatile options used nowadays. These are tooth-shaped caps placed over your damaged teeth to restore their appearance, shape, strength, or size. Crowns cover the exposed part of your teeth above the gum line. Dental crowns are for cracked teeth, supporting a large filling, holding dental bridges, and covering implants and cosmetic modifications. The most common kind of crown used by a cosmetic dentist in Meridian is the porcelain crown. This type, unlike all metal or metal-fused-on-ceramic alternatives, matches your teeth’s natural color. As such, it restores your dental function and the look of your teeth discreetly. 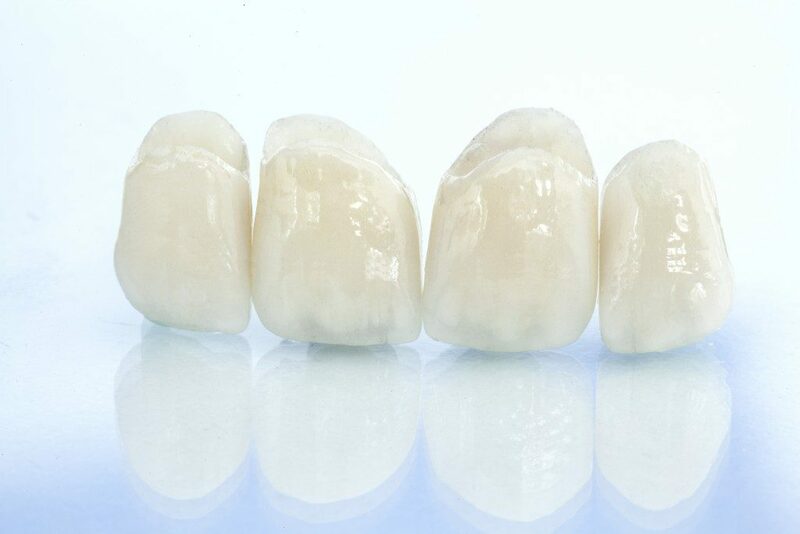 Porcelain dental crowns are also a durable and strong dental restoration option. Here are the types of porcelain dental crowns. These are made of two layers. The strength of your dental crown is attributed to the inner layer made of InCeram which is a blend of alumina and glass. The alumina powder is applied onto a refractory die, and molten glass is used to fill the pores to create an elastic crystalline and dense core structure. The outer layer comprises conventional porcelain for aesthetics. The alumina in high-strength crowns makes them acid-resistant, although it also makes their bonding to the teeth, implants, and bridges difficult. These are also made up of two layers. The inner material is made from wax and the outer layer from standard porcelain. The outer layer is, however, not as thick as that in high-strength crowns. 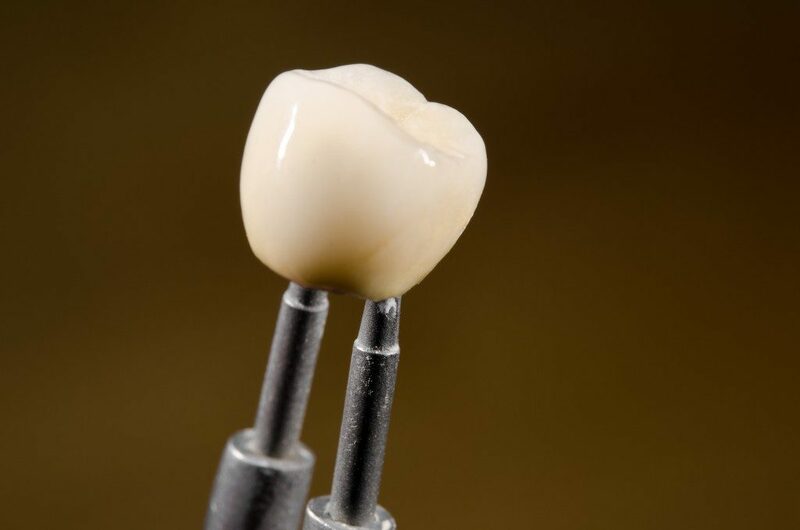 This modification is designed to improve the surface characteristics and finish of pressed-glass crowns. During the manufacture of pressed-glass crowns, wax is applied to phosphate then burnt out. Glass ceramic, which is leucite-reinforced, is afterward pressed into the space in the wax under pressure, hence the name of the crowns. These are made using a computer-controlled technology. The technology mills the coping of the crowns. The crown’s inner layer is made of aluminum oxide which is covered with conventional porcelain. Ceramic is then overlaid onto the crown’s core to improve its translucency. Other than the enhanced aesthetics of milled-porcelain core crowns, they have a perfect fit. The basic structure of crowns made using the capillary technique is similar to that of metal-on-ceramic crowns. These crowns, however, have a core made of gold. They have improved biocompatibility and marginal fit. The gold core reflects light and thus enhances the shine of your crowns. Capillary-technique-milled crowns also need minimal tooth reduction when fitting. Choosing dental crowns is not as easy as picking the cheapest and best-looking option in pictures. The techniques of their fabrication are different, and this confers different properties on them. A certified dentist is a best-placed person to guide you on making the right dental crown choice. The best choice from the ones mentioned above for your tooth restoration will primarily depend on the current state of your teeth. Severely discolored and damaged teeth, for instance, are best restored using milled-porcelain and capillary-technique-milled crowns since these have an improved shine.